Arc'teryx products are usually associated with climbing, skiing, snowboarding, backpacking, and hiking-related activities. Arc'teryx is an outdoor clothing and sporting goods company founded in North Vancouver, British Columbia, Canada. Arc'teryx first line of products were climbing gear. Arc'teryx Gamma MX Hoody - Wind resistant and breathable, the Arc'teryx Gamma MX Hoody Jacket is perfect for alpine climbing when weather protection and breathability are important. The Arc'teryx Gamma MX Hoody Jacket features Fortius™ 2.0 for air-permeability and 4-way stretch and light insulation with mid-weight 4-way stretch fleece. The Gamma MX Hoody Jacket has a helmet compatible Storm Hood™ and a long torso length to fit comfortably under a harness. Ideal for alpine climbing when the weather is cool and wind resistance and a light DWR finish is all you need. 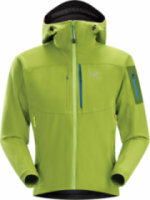 Arc'teryx Theta AR Jacket - "The Arcteryx Men's Theta AR Jacket is totally awesome, you guys. The Theta AR makes a great rain jacket in the spring, and an even better hardshell in the winter when you learn how to layer properly. Plus, you get to look like a total pro when everyone else around you is wearing boring jackets. 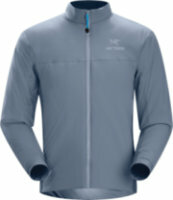 "The Arcteryx Men's Theta AR Jacket. This longer-cut Gore-Tex Pro Shell jacket delivers clean styling and multi-sport versatility. Arc'teryx Sabre Pant - The redesigned Sabre Pant from Arc'teryx features Slide 'n Lock™ snaps and an updated style for a cleaner, sleek looking appearance. The men's Sabre Pant utilizes new N80p-X GORE-TEX® face fabric which is highly durable. A polyester flannel backer adds a moisture wicking and additional warmth for those cold days. The Sabre Pant is ideal for daily use for freeride and deep powder skiing/riding. This men's Arc'teryx pant has a relaxed fit perfect for layering under for cold weather days. Arc'teryx Sabre Jacket - Redesigned to include a powder skirt with Slide 'n Loc™ snaps, the men's Sabre Jacket from Arc'teryx also features new N80p-X GORE-TEX® which is highly durable and supple. The Arc'teryx Sabre Jacket offers light insulation with a flannel backer and a relaxed fit leaves room for winter layers. The new styling of the men's Sabre Jacket provides a sleek, clean appearance and is still packed with additional features. The Storm Hood™ fits over a helmet and the cuffs are large enough to fit over gloves. Arc'teryx Beta SL Jacket - When every ounce counts, you can count on the Arc’teryx Beta SL Jacket. While it may be super light in the weight department, it is absolutely stacked in the performance sector. Beefed up with 340NR 2-layer Gore-Tex PacLite fabric, you are primed for some premium protection. Not only does the Durable Water Repellent finished material shun water like the plague, but it is also insanely breathable. Those fully taped micro seams won’t let a drop in, and also reduce weight and bulk to make the Beta SL Jacket compressible, packable, and the perfect line of defense against any surprise storm. Arc'teryx Fission SL Jacket - The Men's Fission SL Jacket is the lightest weight, fully waterproof, fully insulated jacket that Arc'teryx offers. Perfect for all your technical, cold weather needs.... but I can't stop thinking about how great this winter jacket would be at a tailgate. Standing by a grill in style and warmth, eating burgers, drinking a beer or two and listening to the game. Or high-alpine mountaineering, trying to drink a completely frozen beer or two. Arc'teryx Gamma MX Jacket - Lightweight softshell jacket for varying weather conditions. The Arc'teryx Gamma MX Jacket is engineered for elemental protection and provides light warmth with a mid-weight 4-way stretch fleece. The Gamma MX Jacket for men has articulated patterning for increased freedom of movement and an athletic fit that makes it ideal for under or over layering. The Arc'teryx Gamma MX Jacket features air-permeable Fortius™ 2.0 for breathability and light warmth. The Gamma MX jacket is complete with a DWR finish for weather protection in mixed conditions when alpine climbing. Arc'teryx Gamma MX Hoody - "I love my Gamma MX Hoody. I have used it for four years in every condition.... from plain old snow, to snowshoeing, to skiing, to hiking in the winter with a shell over it. It's also awesome during the spring and summer months for rainy shower days, hiking, or mountain biking. I love this Arcteryx jacket because it breaths well, is comfortable and versatile, and I can use it year round for everyday use or when I am active. 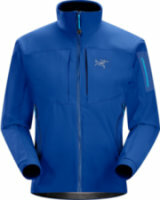 Arc'teryx Stingray Jacket - The Men's Stingray Jacket by Arcteryx. This versatile stormproof jacket is designed for on-area laps and has been upgraded with a lightly insulated Gore-Tex Soft Shell textile that is both supple and more durable. Performance features include articulated shaping for athletic mobility, a helmet compatible Drop Hood with stealthy one-handed adjustability, and a laminated powder skirt with gripper elastic. FEATURES of the Arcteryx Men's Stingray Jacket. SPECIFICATIONS of the Arcteryx Men's Stingray Jacket. 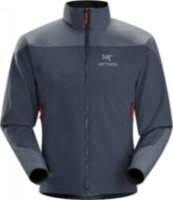 Arc'teryx Rho AR Zip Neck - Arcteryx RHO AR Zip Neck - Men's: The Arc’teryx Rho AR zip neck for men is a great trim fitting base to mid layer. It is constructed with Polartec Power Stretch to keep it fitting next to skin and to offer tons of warmth for colder conditions. Did I mention the laminated stash pocket for lip balm, a pack of gum or that lucky ladies business card? 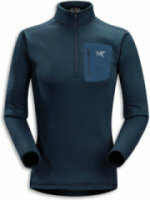 Breathable, moisture-wicking, insulated jersey with collar zip to aid with temperature regulation. Arc'teryx Sidewinder Jacket - Arcteryx Sidewinder Jacket - Men's: Tough waterproof hardshell jacket with Storm Hood, Slide 'n Loc snap system on the powder skirt to keep snow out of your pants on that snorkel day. Equipped with an enhanced GORE-TEX fabric with a softer face, the sidewinder is as delicate as the cold smoke that was bellowing over you during your shred fest. Sidewinder front zipper curves away from your face allowing better breathing opportunity. Arc'teryx Alpha LT Jacket - The Men's Alpha LT Jacket by Arcteryx is the tool of choice for the fast and light alpine crowd. Tough GORE-TEX Pro Shell serves up full weather protection and is further enhanced by the technical features. Lightweight and supple, this alpine focused jacket features an improved Speed Hood and the harness HemLock keeps the jacket hem from rising above a climbing harness. FEATURES of the Arcteryx Men's Alpha LT Jacket. Arc'teryx Kappa Hoody - The Kappa Hoody by Arc'teryx functions like a jacket should. Its stylized appearance is only slightly overshadowed by its functionality and versatility. With Coreloft 140 insulation and a insulated storm hood, this jacket can withstand the harshest skiing conditions. Reinforced shoulders and arms, coupled with a windproof outer shell means both rain and freezing weather wont stop you from your next outdoor challenge. However, too hot will never be an issue as the Kappa Hoody by Arc'teryx allows for body heat permeability. Arc'teryx Gamma AR Pant - FEATURES of the Arcteryx Men's Gamma AR Pant. SPECIFICATIONS of the Arcteryx Men's Gamma AR Pant. Machine wash in cold waterWash dark colors separatelyWind resistantTwo hand pockets with zippersHeat transfer logo46% polyesterDurable, breathable, moisture-resistant outer face fabric with DWR finishDWR finish (Durable Water Repellent) helps bead water from fabric surfaceBurly Double Weave-46% nylonDo not use fabric softenerGusseted crotch and four-way stretch fabric assist freedom of movementTrim fitSnap waist closure and soft, chamois lined waistAdjustable integrated webbing beltStretch pant cuff with lace hook and adjustable drawcordHighly durable8% spandexIron on low heatFront flyWeather resistantSeamless instep to deter snagging. Arc'teryx Alpha SL Jacket - "No it's not just a rain jacket, if you hike or spend anytime outdoors when it's raining or even a light snow this jacket is the best barrier against both. There are very few pieces of gear I can say that I've used spring skiing then the next week used hiking on St. John's in the Caribbean. 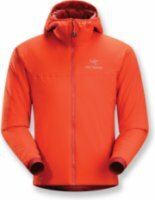 I have had the Alpha SL jacket for two years now and have used it more than any other. Arc'teryx Alpha SL Hybrid Jacket - Never again will you be caught unprepared as long as you are packing the Arc’teryx Alpha SL Hybrid Jacket. We all have a need to travel light, but still remain ready for those ill-timed monsoons, and the answer is finally here. This storm shell is super light, but includes an insane amount of waterproofing and durability so you can whip it into action even if you are currently dangling from a wicked rock face.